Consider the passport as your ticket to travel the world. If you are a U.S. citizen planning on traveling outside the United States, then you will definitely need a Passport. As you might know by now, Passports are the only universally accepted identification. 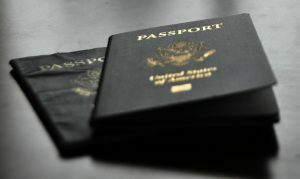 So, having your passport is crucial for your international travels, as this document will let you travel abroad and re-enter the United States. Be aware that since July 2008 the U.S. State Department began producing two types of Passports: Passport Book and Passport Card. 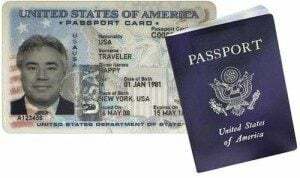 Passport Card: This one is NOT valid for international air travel but may be used instead of a Passport Book for land and sea travel between the U.S. and Canada, Mexico, Bermuda and The Caribbean. Passport Book: This one is valid for any type of international travel. U.S. Citizens on cruises that begin and end at the same port in the U.S. will only need to display proof of citizenship, such as a birth certificate and government-issued photo ID. Children 16 and under are able to travel to Canada, Mexico, Bermuda and The Caribbean by land or sea by presenting proof of citizenship (birth certificate). Groups of children age 16 through 18 may present proof of citizenship (birth certificate) only when traveling under adult supervision with a religious or school group, sports team, or social organization. How do I get a passport and what is the process? If you are applying for your first U.S. Passport, then you must apply in person. This can be done at any regional passport agency or any other facility that accepts passports applications (like post offices and courthouses). Find the nearest agency or facility with the U.S. State Department search tool. Fill out the DS-11 form which is available on the U.S. Department of State website. You can also fill it out online directly at the website and print it. Note: Don’t sign the form until you are in the presence of an authorized executing official. Proof of U.S. citizenship (birth certificate issued by a government office, not from a hospital; Certificate of Naturalization or Citizenship, etc.). Proof of identity with photo and signature (driver’s license, military ID, government ID etc.). You also need to provide a photocopy of this document (front and back). Two 2×2 inch passport photos (can be obtained at any one-hour photo shop). This must be a front view, full face, taken in normal street attire without a hat or dark glasses, with a plain white background. If you’ve had a previous passport issued in the past 15 years, and had 16 years or older when the passport was issued, then you are eligible to apply for a new passport by mail. This only applies if you can submit your previous passport and if your name hasn’t changed unless you can legally prove your name change with documentation. If the above doesn’t apply to you, then you must apply in person and follow the procedure like a first-time applicant. – Minor renewals have to be done in person and considered as first time application. Fill out the DS-82 form, which is available on the U.S. Department of State website. Sign and date it. When to apply for it? 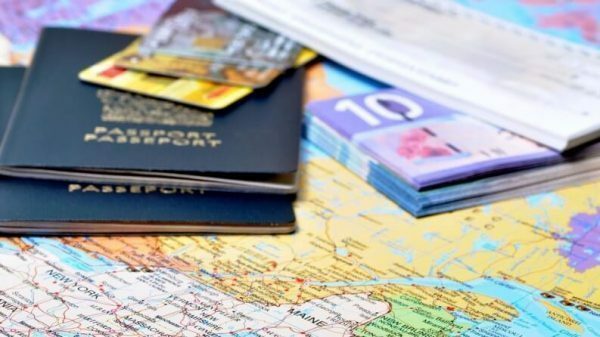 Make sure you start the process at least 2 to 3 months in advance of your planned trip, as the average time someone receives their passport in the mail is six weeks. If you need your passport as soon as possible, you can have it expedited for an additional $60 and can receive it within two weeks. Make sure you label the application with EXPEDITED. If you need it even sooner than that, you can pay an additional $14.85 for a passport book overnight delivery. The best time to apply for a passport is between the months of September and February since this is the low season for travel. Don’t worry, the process of applying for a passport is not as bad as it looks, but the rewards of having a passport are priceless! Prices and details are accurate as of December 2017.